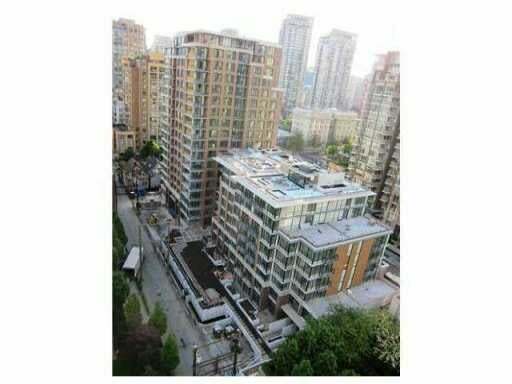 Rare NE Facing 1 BDRM + Office Penthouse With Large 350+ sq ft Terrace. Introducing Richards - A rare defining modern center piece in the heart of Vancouver: 2 distinctive 1907 Edwardian inspired gable-front heritage houses & a sleek 18-storey tower features 231 homes including walk-up brick TH's. Features incl upgraded HW in living area, designer carpeting in bdrms, masterful Chef kitchens w/stainless-steel appliances & granite counters in kitchen & bathrms. Amenities incl fully equipped fitness ctre, amenity rm & podium level urban orchard. Richards combines front door access to every urban amenity imaginable w/the unequalled luxury of living in North America's most vibrant trendsetting hub. Landmark living in the ctre of Vancouver. Floor Area 630 Sq. Ft.